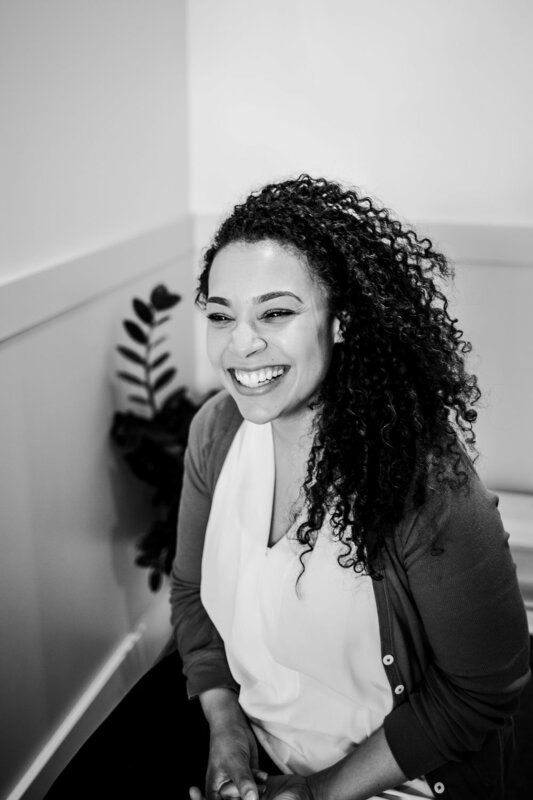 Today we’re bringing you up close and personal with the amazing Emily Mauter, Events Manager at Open Arms of Minnesota in our first Power of 100 profile of awesome women driving social change in our community. In her day job, Emily is the creative queen working behind the scenes to make special events at Open Arms come to life. Her events are defined by unique details that feel fresh, fabulous and mission-driven. She says her job requires scrappiness and flexibility and anyone who’s had the pleasure of working with her knows Emily brings an enviable ease and sense of style to her events from start to finish. 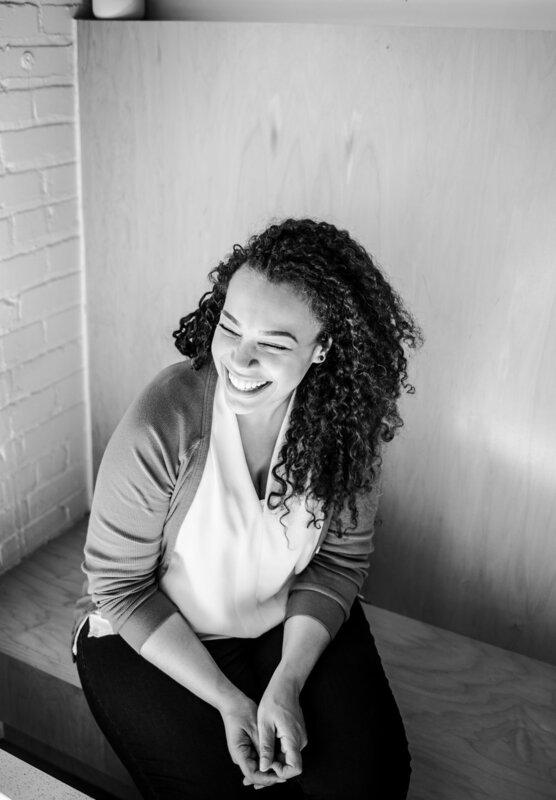 Emily’s story begins in Detroit and after three years in the Twin Cities she’s starting to feel rooted in Minneapolis, in part because of becoming engaged and invested in local politics. What’s a value your family modeled that’s been amazingly helpful to you? Civic engagement was always a thing in our household. It’s one of those things I never realized growing up. My mom always made voting fun and we went every Election Day. Now I’m a dork and I wear red white and blue on election day (not always in super obvious ways!) I think it’s important to participate in democracy. My sister and I both work for non profits now and in different ways are involved with local politics. I think about how my mom in particular always made a point to get involved. She was PTA president and was cookie mom when we were in Girl Scouts so she she wasn’t just participating, but actively participating. I think she gave us the impression we all have the ability to shape our world. There’s a saying that behind every amazing woman are more amazing women (or something like that). Who are those people for you? Ok, let’s see if I can do this without getting emotional. I would say definitely one of those people is my sister. She is phenomenal. She is three years older than me so whether she intends to or not she has always been the person that shows me what is possible. My mom also, who is so super awesome. I don’t think I realized this until now as an adult, but my mom was definitely raising little politically engaged citizens. When I was little, she learned they were they were going to close the public school in our neighborhood so my mom and sister were out there picketing. I went to vote with my mom in 1984 at age three and they had little kiddie voting machines set up. I sat down at my machine and I was ready to vote for Mondale and the ballot just said ‘Daffy Duck, Mickey Mouse’ and I was like, “Mom, where is Geraldine Ferraro! ?” And all the ladies who were working the polls were laughing because I was *THREE* and ready to vote for Geraldine Ferraro. Politics has always been a thing in my house. My Dad included. We’ve all always been aware and involved. So yeah, I’d say between my mom and my sister, those are my peeps [laughing]. Around MSP where is your place for a perfect girls night? Probably my favorite place in the Cities is GYST. I love GYST. It’s a great place. It’s lady owned. Everyone there makes minimum $15/hour, and I love that they built equity into their business model from the very beginning. They are a fermentation bar so they serve things like wine, beer, and kombucha, and foods like cheese, kimchi, and other pickled goodies. Wine-wise their lists rotate pretty regularly but you don’t need to know much about wine to enjoy yourself. You can give them just a couple bullet points and they’ll find the right wine for you. I love their motherboards but if you’re in the mood for something specific you can tell them what you want and they’ll build you whatever. They are really good about working with you. Their grilled cheese is so good. Their Sandor is so good. They do pizza night now which I haven’t done been to yet but I’m excited about. I - LOVE - GYST. The vibe is so chill and approachable. What’s something all your friends come to you for advice? Eyebrows [laughing], eyebrow maintenance, makeup in general. A perspective I bring to the table is the pop culture tie-in for everything because that’s how you make things accessible. So Oprah tweeted you, can we talk about that? Man listen. I was live tweeting the season finale of Queen Sugar. So to get into super detail, one of the characters has super curly hair just like I do. This was all part of this character’s development but she had always had it blown out and super straight and she was also a very controlled, very composed person and then she kinda had this breakthrough and let loose a little so of course she started wearing her hair natural. But in this episode she had just gotten out of the shower and she was drying her hair with a big ol’ bath towel and that’s not how you dry curly hair. That’s not how this works. And I’m just tweeting out my random thoughts. I forget exactly what I said, but I said, “I don’t believe she’d use a towel like that”. And Oprah was like, “Why wouldn’t she?” And you know how your phone will say so-and-so tweeted you. And I didn’t believe it was her. I thought there’s no way it’s her. So I open it up and it says, “*VERIFIED* FREAKIN’ OPRAH WINFREY tweeted you”. And I don’t know what happened the rest of that episode. I screen-shotted it, texted it to my sister, to my mom, to my sister in law - “YOU GUYS!” So Oprah and I are friends. Oprah only has so much time for all of us and I got my two seconds of her time. It was amazing. Power of 100 is all about is learning and growing. What’s something you’d like to learn about if you could? A thing that I love in general and always want to learn more about is personality assessments. I really love the Enneagram, that one is my favorite. I also love StrengthsFinder. I took them both and they both essentially told me the same thing, but through different lenses. The Enneagram is a little more woo-woo and StrengthsFinder has a bit more of a business school vibe to it. One thing I appreciate about StrengthsFinder is there are things it identifies as strengths that I never would have considered strengths. I wouldn’t have considered them weaknesses either, but I was like, “that’s valuable? Oh, that’s cool. Good to know!” My strengths were: Empathy, Adaptability, Input, Positivity and Developer. Input is one I didn’t think was a weakness, but I never would have considered a strength. My Enneagram is a two with a three wing, so that means my ultimate driving desire is to be loved and to create a sense of love. What I like about Enneagram is that your type is your type. It shows you what you’re capable of at your best as well as what you’re capable of when you’re not at your best. So I like that because it shows what you have potential to grow into rather than focusing on a fixed set of qualities or actions. When did your love of animal GIFs begin? I feel like it’s maybe always been latent and now the technology exists for me to express myself this way [laughing]. (Follow up question: Where do you find them?) Everywhere! Twitter and iMessage have built in GIF searchers. And I use GIPHY. Our theme for Moveable Feast this year is a mid-century nasa theme, so I’ve been searching for a lot of dogs in space. There’s a lot of them and they are adorable. Oh gosh. I listen to so many podcasts: Another Round, Call Your Girlfriend, Keep It with Ira Madison III, Making Obama, Oprah’s SuperSoul Conversations, Show Your Work, The Read is really good. Tom and Lorenzo’s Pop Style Opinionfest, Thirst Aid Kit, Unhappy Hour, Young House Love and Code Switch. Show Your Work is a podcast from the gossip blog Lainey Gossip, and both the podcast and the website discuss what goes into creating the personas famous people put forward. For example, there was an article about Ellen Pompeo in the Hollywood Reporter and she was talking about why she chose to stay in TV rather than go into movies; how she learned to become a producer from Shonda Rhimes; how she learned to advocate for herself and bargain; and how when she would try and get Patrick Dempsey to jointly negotiate their salaries and he refused and she would always get the short end of the stick even after he left the show. What excites you most about MSP right now? There’s just so much happening here. There is something for everyone. For me personally, I’ve been getting into local politics. Caucusing and conventioning doesn’t exist in most other places like it does here. It’s very tangible here and there are lots of ways to tap into the local political scene. I enjoy participating even though at times they are the strangest events: it can be a long bureaucratic day but there’s something I find very entertaining about it. It’s democracy; it is slow and it is small and it is super local. What’s something you’d change about MSP if you were in a position to do so? What makes you proudest to work at Open Arms? Our mission is so important. Open Arms provides medically tailored meals for people living with life-threatening illnesses. Everybody knows how food can help you heal, even if you have a cold and your mom makes you soup. We all know someone who’s dealt with a more serious illness. We all understand the importance of having food that is is there for you and is comforting and tastes good. More than any other organization where I’ve worked, volunteers are such an integral part of what Open Arms does. Our founder was our first volunteer so we’ve always had volunteers at the heart of what we do. It’s so easy to volunteer there: some people come one-time with a group and some people come for the same shift every week. Some people have met their spouses that way. I enjoy seeing the effort that goes into making Open Arms a space that everyone feels part of -- you don’t notice it when you’re doing it, but you always hear about how it makes people feel afterwards. I contribute to it somehow (I hope!) and I feel a responsibility in a way to maintain that environment because it’s not something you feel everywhere. Another thing I really like about Open Arms is that the impact of the work is so immediate. In my role, I can see that if our event raises X dollars that funds X meals that are going to get cooked in the kitchen the next day that I (or anyone) can turn around and deliver those meals to a client. That’s just so tangible. How has working at Open Arms informed how you choose to get engaged and give back? There are so many important causes that need our support, but working for a non profit makes it easier to focus outside of work on other things I care about -- for me that’s local politics. What we can all do is impact our immediate surroundings. Nonprofits do great work, but it would be even greater if that work didn’t need to be done in the first place. The underlying causes for these needs could be addressed through our government. What are some ways the Power of 100 community can support or engage with Open Arms? It is super easy to volunteer at Open Arms at all times. Go to www.openarmsmn.org/volunteer and sign up for the volunteer orientation. Once you’ve gone through the orientation, you can help cook meals in the kitchen, you can deliver meals to clients, you can help us prep for events, you can work on one of our urban farms, you can do whatever speaks to you. There’s a lot of different ways to get involved. As we build Power of 100, how do we make sure the work is intersectional? The best way is to ensure there are a diversity of voices and that those voices - I would almost say - are given more than equal representation because historically they haven’t had a platform. That would include women of color, indigenous women, people in the LGBTQ community and many other communities I’m leaving out. Actually ask what they need and listen to them rather than deciding for them what they need. What we’ve learned with all that’s happening in politics and the entertainment industry in the last year and a half is that there’s so much power in collective voice. You see that with Time’s Up and other movements. Leslie Barlow. I met her at the first Midwest Mixed conference last summer. Her work focuses on culture, community and identity, and a lot of her current work depicts interracial families as a way to reflect those ideas. Mel Guse, one of the sister owners of GYST. It doesn’t get much better than doing awesome work (with an equitable business model!) with your sister. My sister (Erica Mauter). She’s amazing. What is she going to do next? She’s got a few irons in the fire but I can’t say. You’ll have to ask her! Open Arms of Minnesota is a Minneapolis-based nonprofit with 40 full- & part-time employees and more than 7,000 volunteers that cook and deliver 12,000 free, nutritious meals each week to people living with life-threatening illnesses across the Twin Cities. To volunteer, visit: https://www.openarmsmn.org/volunteer/. Find Open Arms on Facebook, Twitter and Instagram at @openarmsmn. Find Emily gracing the ‘gram or live tweeting RuPaul’s Drag Race at @swerlspice. In REAL LIFE you may find her at Open Arms, winning trivia at 331 Club or sharing pickled delights with friends at GYST.